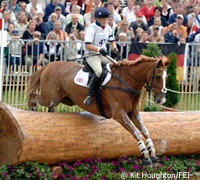 Zara Phillips and Toy Town scored individual eventing gold at the 2006 WEG in Aachen, Germany. Photo: Kit Houghton. 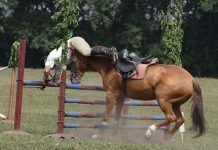 The Alltech FEI World Equestrian Games has a new look on the Web! On January 23, the World Games 2010 Foundation officially launched a new website at www.feigames2010.org. 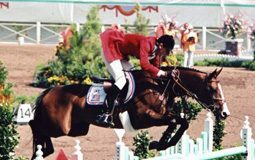 Visitors to the new website will find valuable educational materials about the eight world championships to be contested in 2010. Curious fans can get a sneak peak of what the Kentucky Horse Park will look like in 2010, with an interactive venue map, stadium and arena renderings, and links to the horse park’s construction updates. In-depth information regarding business, retail, and community opportunities is also available, including the 2010 Games Trade Show. Visit the new website at www.feigames2010.org. Very nice layout on the site. I’m glad you gave us the link. The WEG is going to be so exciting. I sure hope they give us good TV coverage.